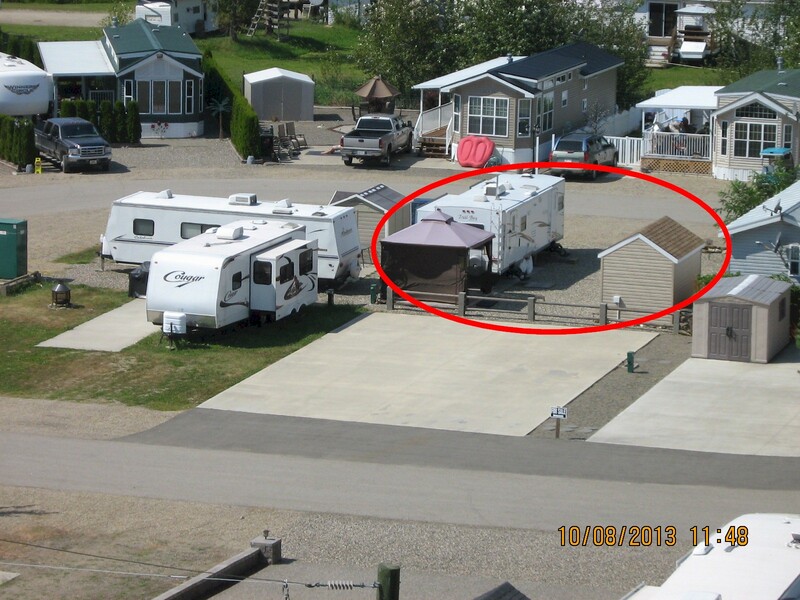 Located in Gateway Lakeview Resort on the North Shore of beautiful Shuswap Lake, B.C., this RV lot makes a perfect getaway location. Mid-way between Vancouver and Calgary, and 10 minutes off the Trans Canada Highway, this area is close to Chase, Kamloops, Sorrento and Salmon Arm. The resort has beach access and a private dock. Right across the road is Roderick Haig-Brown Provincial Park, home to the annual Adams River salmon run in October. 10 minutes past the resort is the community of Scotch Creek, home to Shuswap Lake Provincial Park. For information on renting the lot, please contact us. For a detailed map of where we are, please go to http://www.gatewaylakeviewresort.ca/ and click on the Location button at the top of the page. 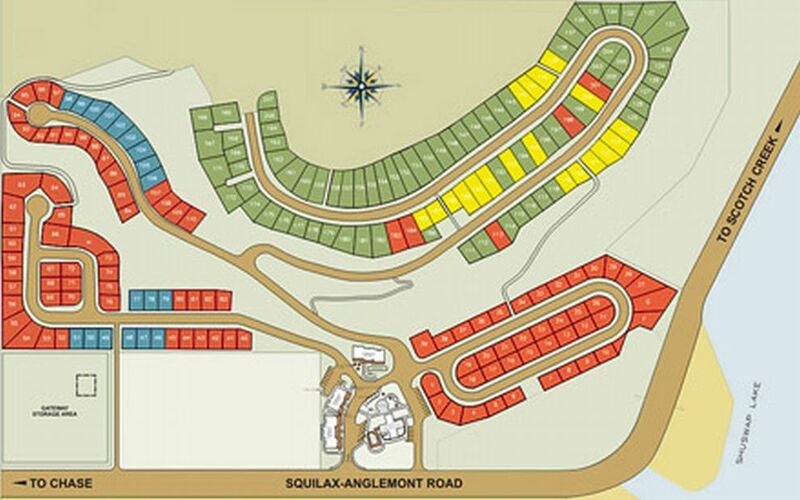 For a map of the resort, please click on the image below. Call today and see what a little CARE can do for you!